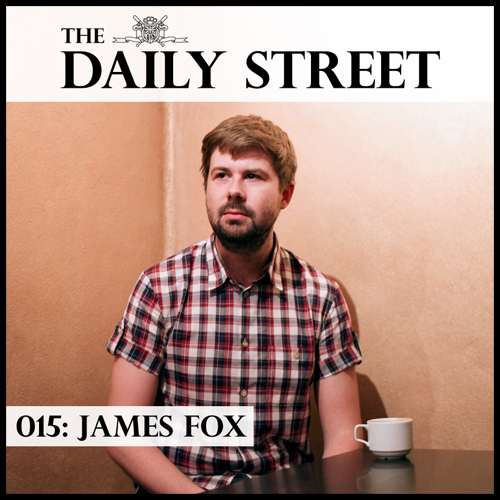 Fresh off the back of his hit release “New Jack Swing” on the brand new Well Rounded Housing Project, we welcome James Fox to our mixtape series. Over the last year James Fox seems to have rocketed out of no where and is now a rather familiar household name to most people into the House and Bass Music scene that’s bubbling along at the moment. With his first release on TAKE Records receiving a remix from Ramadanman on the flip, he made a strong arrival. Moving on from that, his debut for the brand new sub-label of Donga’s infamous Well Rounded too the scene by storm, easily making it’s way onto the list of top tunes for 2011. It seemed like the perfect time to get James involved in the TDS mixtape series. Away from his music career, James is also a passionate man when it comes to fine clothing, loving nothing more than a good browse of Liberty’s, so it makes twice as much sense. For mixtape 015 James takes us on a smooth House trip that draws music from the likes of Maya Jane Coles, Photek, Julio Bashmore, Cosmin TRG and Doc Daneeka’s super-exclusive unreleased remix of Skream’s “Where You Should Be”. Overall it’s a very fluent mix that sums up what’s going on in the UK underground House scene at the moment. “Next release is a remix for Jack Dixon & Robin Card which is due on TAKE Records very soon. After that I have a couple of other remixes, then hopefully follow up releases for TAKE and for Well Rounded Housing Project after that.